This is the craziest thing we've ever seen. The owner of this Lamborghini hired a bunch of people to destroy his car in public because he experienced poor customer service from Lamborghini. 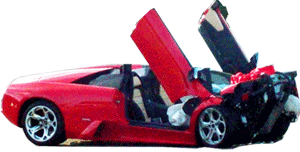 Apparently, the car had engine problems and Lamborghini refused to fix it. Lamborghini Gallardo. Happened in China.